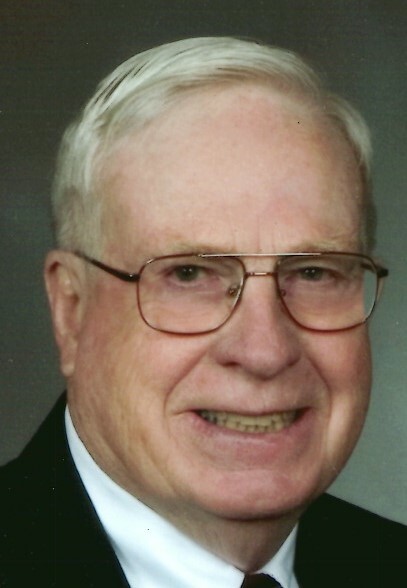 Thomas J. Melody, 81, of Wadsworth passed away Friday, March 15, 2019. He was born June 10, 1937 in Cumberland, Maryland to the late Joe and Bertha Melody. Mr. Melody was a member of Sacred Heart Catholic Church. He was a gifted and talented journalist and had been a columnist and sports editor at the Akron Beacon Journal, retiring after 42 years with the paper. When not working Tom enjoyed fly fishing, gardening and reading. He was a man of great wisdom, a gifted writer, a master story teller with unmatched humor and wit, who fiercely loved his family. He served his community and faith through the Knights of Columbus, Kiwanis, Project Healing Waters, St. Vincent DePaul Society and as a Eucharistic Minister. He will be greatly missed by all that knew and loved him. He was preceded in death by his brothers Bob and Mike and sister Janie Groves. He is survived by his loving wife of 61 years, Sharon, children Joe of Lexington, KY, Chris (Wendy) of Kingsland, GA, Kathie (Jeff) Priest of Wadsworth, Matthew (Theresa) of Cincinnati and Mary (Rob) Yeiser of Verona, WI; 17 grandchildren, 2 great-grandchildren, sister Joanne (Buddy) Miller of Webster Springs, WV, brother-in-law Norman Groves and sisters-in-law Trina Melody and Judy Melody all of Keyser, WV, and Barbara Tenney of Fort Ashby, WV, as well as many nieces and nephews. Tom’s family will receive friends 4-8PM Tuesday, March 19, 2019 at the Hilliard-Rospert Funeral Home, 174 N. Lyman St., Wadsworth. Mass of Christian Burial will be celebrated 11AM Wednesday, March 20, 2019 at Sacred Heart Catholic Church Wadsworth, 272 Broad St., Wadsworth. Memorial contributions may be made to St. Vincent DePaul Society at Sacred Heart Catholic Church, 260 Broad St, Wadsworth OH 44281 or St. Jude Research Hospital, 501 St Jude Place, Memphis, TN, 38105 , Source Code: IIQ180788777.